Brand New and High quality binoculars from PYRUS. 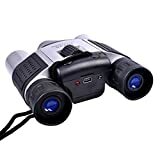 This entry was posted in Astronomy Products and tagged 1.3MP, 101m/1000m, 10x25, Binoculars, camera, CMOS, Digital, Field, Pyrus, recording, Video, View by Celestial World. Bookmark the permalink.